The official trailer for Tim Tebow's first movie "Run the Race" is out and it is already making waves. The trailer was released Wednesday evening on Facebook and it earned more than 300,000 views in a matter of hours. Tebow co-produced the film with his brother Robby. The story follows the life of Zach and David, two fictional brothers grieving their mother's death and father's sudden abandonment. They turn to football and faith to handle their devastating loss, but it isn't easy. "Zach, who's an All-State athlete, finds glory on the football field, working to earn a college scholarship and the brothers' ticket out of town. When a devastating injury puts Zach — and his dreams — on the sidelines, David laces up his track cleats to salvage their future and points Zach toward hope," the film's synopsis reads. Tebow hopes the movie sends a positive message about God's love. "I wanted to be part of something that's encouraging and inspirational to the viewer. 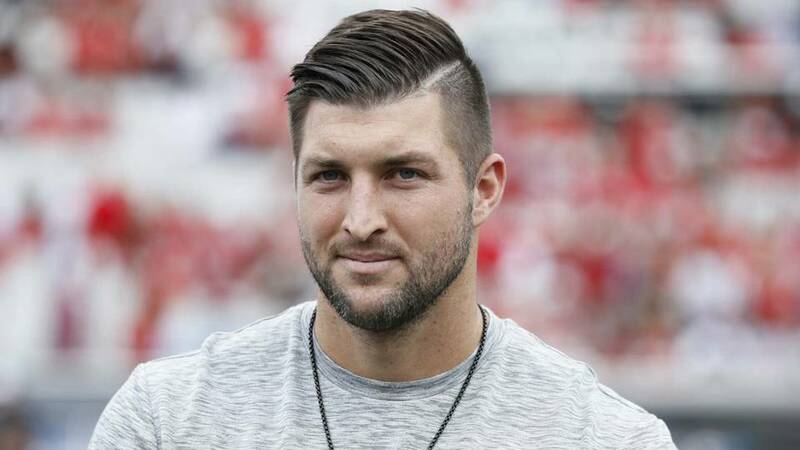 I believe 'Run the Race' accomplishes this by showing two brothers struggling with real life, but them getting through it by supporting each other and their faith," Tebow said in a statement. "I hope those who see it can walk away with more faith, hope, and love." "There are a lot of similarities in my life between two brothers supporting one another, having each other's back, believing in one another," the former NFL quarterback turned baseball player said. "My family and my brother have always given me so much support. That's made such a big impact on me being able to go after my dreams." "Run The Race" hits theaters Feb. 22. Watch trailer below.